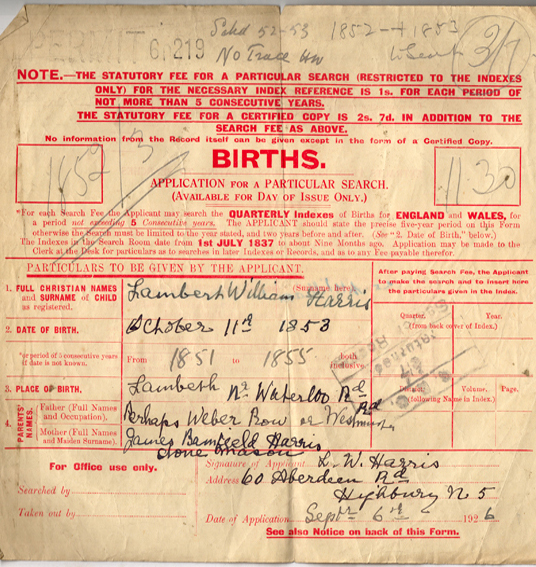 These two documents relate to the birth of Lambert william Harris in 1853. Lambert was the son of James Banfield Moore Harris, and brother of Emily (wife of George Musgrove).We have been unable to trace a copy of the Birth certificate. In fact Lambert himself found it impossible to get a copy in 1926 as can be seen in his application form (left). This is a very interesting document because normally this application form would reatained when the copy Birth Certificate was issued. In this instance the form was returned to Lambert with a hand written note at the top saying no trace. We have also recently double checked, but nothing is registered under his name. The application, in Lambert"s handwriting was probably made when he applied for his State Pension. Note he was living at 60 Aberdeen Road Highbury.The second document is a copy of the actual Baptism Register for St Mary Lambeth from 1853. 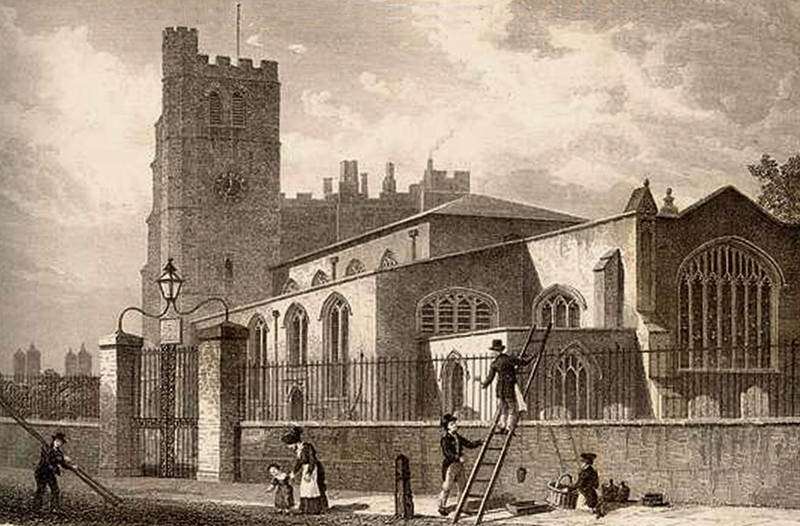 Lambert's Baptisn is shown to have taken place on October the 30th (he shows his birth date as October the 11th on his application form).James and Sophia are shown as his parents and they were living at 37 South Street Lambeth.